A worldwide quest is under way to find treatments to stop, slow or even prevent Alzheimer’s disease. Some of the most promising research is happening right here in San Diego. Many of the new drugs in development aim to modify the disease process by impacting the many brain changes that Alzheimer’s causes. Current trials in San Diego County range from drug research to studying the impact of sleep on cognitive decline and caregiver stress. People with Alzheimer’s, caregivers and healthy volunteers are needed today to participate in Alzheimer’s and dementia research. When you join a clinical trial, you have an opportunity to participate in critical research that could change the course of Alzheimer’s disease and improve the lives of all those it affects. By signing up to learn more, Alzheimer’s San Diego will send you the latest information about local studies that could be a good fit for you. We need your help. Without participation, finding a cure is virtually impossible. Do you have a diagnosis of Alzheimer's disease or dementia? Do you have a family history of Alzheimer's? A groundbreaking local initiative that combines San Diego’s resources in order to accelerate research and drug discovery projects to find a cure. Click to download a PDF listing or scroll down below to see a current list of trials that are actively looking for participants. TauRx: The study is investigating the safety and effectiveness of TRx023 on reducing buildup of Tau tangles and slowing of the disease progression in people with Mild Alzheimer’s. TRAILBLAZER: This study is investigating the safety and effectiveness of LY3002813 on reducing beta amyloid plaques and slowing the disease progression in people with mild Alzheimer’s. Insurance is not required for study participation. Participants and study partners are compensated for time and travel and transportation can be provided for each study visit. For more information call 858-836-8350 or visit www.sharp.com/clinicaltrials. * A valued partner who supports the mission, programs and services of Alzheimer’s San Diego. PRN is seeking volunteers with and without memory concerns to participate in different studies. PRN also offers free memory screenings and APOE testing. Studies change frequently, contact them for more information. *Newest study, Avanir is testing a new medication for the treatment of agitation in people with dementia. For more information call 619-294-4302 or visit www.PRNSD.com. Eisai – Study is for individuals experiencing mild cognitive impairment, memory problems, and/or trouble with thinking. IntraCellular Technology – Study is for individuals with agitated behaviors due to Alzheimer’s (i.e. verbal outbursts, pacing, repetition, irritable, etc). For more information call 760-758-2222 or visit www.excellresearch.com. The UC San Diego, Shiley-Marcos Alzheimer’s Disease Research Center (SMARDC) is the only university-based, federally funded, Alzheimer’s disease research center in San Diego. The SMADRC is currently enrolling for a variety of studies that test investigational medications and diagnostic methods, long-term observational studies without medication and more. Studies are open to adults with MCI or dementia, a family history of Alzheimer’s and those without memory problems. Hablamos Español! For more information call 858-822-4800 or visit www.adrc.ucsd.edu. Tango Study: This study evaluates the safety, dosing and potential effectiveness of an investigational drug to see if it has the potential to slow disease progression. For more information call 760-732-0557 or visit www.neurocenter.com. Alzheimer’s Caregiver Study: This study investigates whether providing caregivers with coping tools will lower physiological markers related to heart disease. All study visits conducted in-home. For information call 858-534-9479. Pupil (eye) Response Study: Investigation of pupil response as an indicator of Alzheimer’s. Includes memory/thinking tests and MRI scan of brain. No investigational drugs. For information call Stephanie 858-822-5038. Memantine: Investigation of Memantine (FDA-approved drug) on brain function. For those with middle/moderate Alzheimer’s. For information call 619-543-2314. Dementia with Lewy Bodies Consortium: This study develops a collection of samples from individuals diagnosed with Lewy Body Dementia to help promote future research opportunities. Participants will be followed over a period of 5 years to collect detailed information. For adults 40-90 years of age. For more information, contact Veronica Lopez, Research Coordinator at v1lopez@ucsd.edu or call 858-822-5786. Sleep Study: For people with Alzheimer’s disease, Mild Cognitive Impairment, Parkinson’s disease dementia or Dementia with Lewy Bodies, investigating the relationship between sleep disturbances and cognitive decline. Computer Study: A study examining the effectiveness of a computer program to help distinguish between disorders. No medication or long-term follow-up visits. For more information, call 619-798-6048 or www.anhsocal.com. XanAdu: The purpose of this study is to see if the investigational drug Xanamem will inhibit the conversion of cortisone to cortisol in the hippocampus. For people with MCI or early stage dementia. For more information, 858-674-1289 or www.pcndneurology.com. Alzheimer Prevention Trials (APT) Webstudy: An online cognitive assessment research study aimed at accelerating the enrollment time for clinical trials designed to prevent Alzheimer’s disease. The purpose of the webstudy is to develop a large online group of individuals who may be at higher risk for developing Alzheimer’s dementia, and who may be interested in participating in a prevention trial. For more information and additional trials, 800-872-2273 or www.keck.usc.edu/atri. IntraCellular Technology: This study is for individuals with agitated behaviors due to Alzheimer’s (i.e. verbal outbursts, pacing, repetition, irritation, etc). 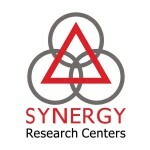 For more information, 619-303-6130 or www.synergyresearchcenters.com.